The NVIDIA GeForce GTX 965M is a 28 nm DirectX-11 graphics card for mid- and high-end notebooks. It was introduced in January 2015 and is based on the Maxwell GM204 (later GM206) architecture. The clock rates specified by Nvidia are 924 MHz (+ Boost) for the GPU and 1250 MHz (5000 MHz effective) for the up to 4 GB of GDDR5 memory. Early 2015 a new version of the 965M (codename N16E-GR, formerly known as 965M Ti) based on the GM206 will be available that features higher core clocks of 935 MHz base and 1151 MHz Turbo. This resulted in a 12% faster performance in games (in our tests with a MSI GE72 pre-sample in maximum detail settings). The TDP however should remain at 50 Watt like the GTX 960M and the chip is also pin compatible. In theory the GM206 also supports HDMI 2.0, but the laptop has to implement the wiring for this correctly. Just like the mid-range GM107 chip (GeForce GTX 860M), the GM204 is also based on Nvidia's new Maxwell architecture, which replaces the previous Kepler generation. 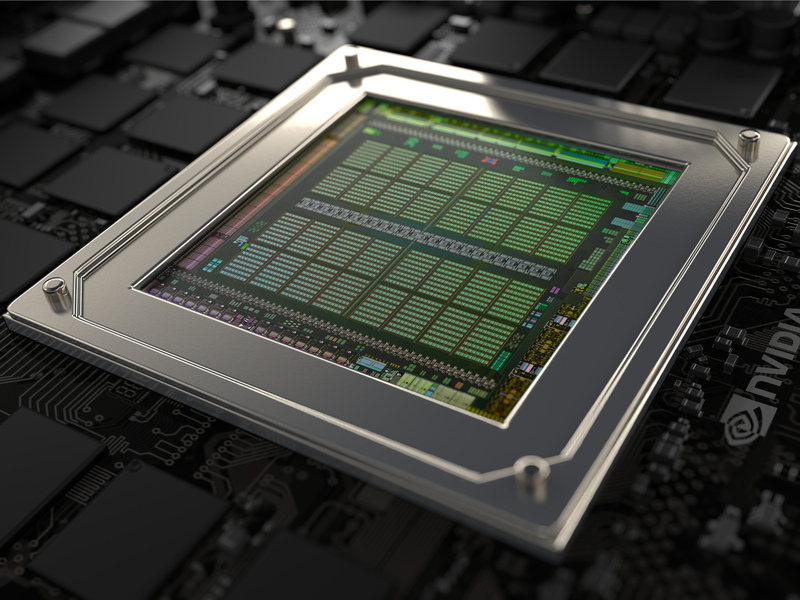 Among other changes, Nvidia have restructured the streaming multi processors (SMM) in order to increase workload and efficiency. Now each SMM contains only 128 shader units and 8 TMUs, which is noticeably less than an equivalent Kepler GPU. The GM204 features four GPCs, and each consists of four SMMs. But, in the GeForce GTX 965M, Nvidia have deactivated 8 of 16 SMMs. As a result, only 1024 shader ALUs and 64 TMUs are active. In addition, there are 32 ROPs in two clusters with 16 units each. The memory interface has a bandwidth of 128-bits (2x 64 bit). Thanks to an improved compression algorithm, the connection to the GDDR5 memory should be significantly more efficient per MHz. Furthermore, the L1 (96 KB per SMM) and L2 caches (2 MB) have been significantly increased to lower the needed bandwidth. Although the GM107 and the GM204 both belong to the Maxwell generation, the newer and larger GM204 has several additional features and changes. Aside from the improved polymorphic engine in the SSMs, it is also the first Nvidia chip to support DirectX 12 Feature Level 12_1. Thanks to the increased efficiency, the GeForce GTX 965M performs similar to the previous Kepler-GPU GeForce GTX 870M (1344 shader, 192-bit GDDR5). The more expensive, also Maxwell-based GTX 970M (1280 shader, 192-bit GDDR5) is a further 35 to 40 percent faster. Overall, the GTX 965M is fast enough to run demanding games as of 2014/2015 with high details and FullHD resolution. In some titles, even additional quality features like anti-aliasing and anisotropic filtering are possible. Most of the features are identical to the GeForce GTX 800M series. With the GTX 965M, there can be up to 4 active displays possible, but this will likely decrease due to Optimus. Displays can be connected with a maximum resolution of 3840 x 2160 pixels at 60 Hz via DisplayPort 1.2 or HDMI 2.0 (no HDCP @ 4K). HD audio formats like Dolby True HD and DTS HD can be sent to a compatible receiver as bitstream. As with previous models, 3D Vision is not supported with Optimus. The power consumption of the 28 nm GeForce GTX 965M including its MXM board and memory should be significantly below the GTX 870M at an estimated 70 watts. Nevertheless, the graphics card can only be used in large gaming notebooks with powerful cooling systems. Under low load, dynamic clock rates help the GTX 965M to save energy. While idle, the Optimus technology also allows for the complete deactivation of the GPU in favor of the integrated processor graphics card.